Sarah Gerkensmeyer Writing Fellow 2012-2013 | Pen Parentis Literary Salons | Parenting Done. Write. Sarah Gerkensmeyer teaches creative writing at SUNY Fredonia in Fredonia, New York, where she lives with her husband and two young sons (Simon, four years old and Charlie, one and a half). She has spent time during two consecutive winters at Ragdale and was awarded a waiter scholarship to the Bread Loaf Writers’ Conference in Vermont. She received her MFA from Cornell University in 2004. She is at work on her first novel. Sarah was formally presented at the Pen Parentis Andaz Literary Salon at its new location in the glamorous Andaz Wall Street (private dining room at Wall&Water) on September 11th, 2012, alongside Pen Parentis readers John Reed, Theodore Hamm, and Renee Steinke. A Pushcart Prize nominee and a finalist for the Katherine Anne Porter Prize in Short Fiction and the Italo Calvino Prize for Fabulist Fiction, Sarah’s stories have appeared in several journals, including The Massachusetts Review, Hayden’s Ferry Review, Sonora Review, North Dakota Quarterly, The Nebraska Review, Redivider, and Cream City Review. 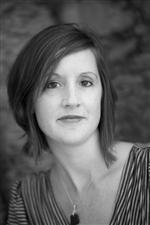 Just weeks after winning our Fellowship, Sarah’s first short story collection, “What You Are Now Enjoying,” won the 2012 Autumn House Press Fiction Contest, judged by Stewart O’Nan. It was published in February 2013 by Autumn House Press, and Sarah did a reading from it at our April 2013 Salon alongside Leigh Newman and one of Sarah’s writing idols, Kelly Link. She also attended the Vermont Studio Center and Grub Street on scholarships. Click on this link to see the entire letter that Sarah wrote to incoming Fellow, John Jodzio.